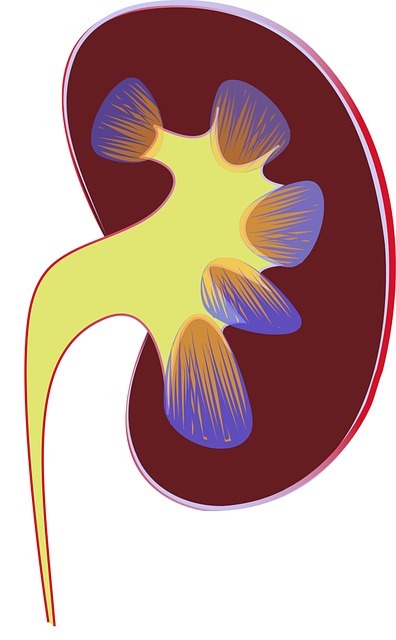 0.1 What Are The Causes Of Kidney Stones? 0.4 Is it useful for us to know the types of kidney stones? Today we are going to provide some essential information towards one of such problems that we find almost in every family history, i.e. kidney stones. Yes, it may not seem such a threat to you while reading or listening but it can lead to severe kidney complications including blockage of the ureter( kidney to the bladder passage) or any chronic kidney disease. A kidney stone causes Pain that changes as it shifts to a different location or increase in intensity as the stone moves through your urinary tract. Releasing kidney stones can be extremely painful at times. But the stones usually don’t harm permanently if they’re detected early. Until the stones move around within your kidney or pass into your ureter you may not experience severe pain in the side and back, below the ribs to the lower abdomen and groin, or on urination. Sometimes Nausea and vomiting occur and chilled fever if an infection is present. Kidney stones have no definite, single cause to form. When the urine becomes concentrated the minerals crystallize and stick together to form stones. They can be as tiny as a grain of sand and pass unnoticed with the urine. The bigger sizes can block your urine flow and hurt a lot often being worse than childbirth. These crystalline structures can surprisingly grow to the size of a golf ball with sharp edges. The constant build-up of dissolved minerals on the inner lining of the kidneys results in Kidney stones. Usually, these consist of calcium oxalate yet may be composed of several other compounds. Is it useful for us to know the types of kidney stones? Indeed it is important to know as the risks vary accordingly the type of stones recognized. Calcium stones are the most common kidney stones usually in the form of calcium oxalate. High doses of vitamin D in the diet, metabolic disorders and even intestinal bypass surgery can increase the concentration of calcium or oxalate in urine. Calcium stones are associated with certain migraine headaches or with taking certain seizure medications and found as in the form of calcium phosphate. Another stone that forms in response to an infection may be a urinary tract infection is called as Struvite stones. These stones can grow quickly and become quite large, with few symptoms or little warning. Uric acid stones form in people those who have gout, who don’t drink enough fluids or who lose too much fluid, those who eat a high-protein diet. Cystine stones appear in people with a hereditary disorder where the kidneys excrete too much of certain amino acids (cystinuria). One of the leading causes of kidney stones is lack of water in the body. This is because lack of water is unable to dilute the uric acid, a component of urine that makes the urine more acidic. Make enough time to drink the recommended eight to ten glasses of water a day. Gulp down a citrus drink frequently. The citrate in lemons can prevent stones formation. Sodium- It is present in table salt that can raise your chances of getting several types of kidney stones. So the next time, have a check on your salty snacks, canned foods, packaged meats, and other processed foods. Animal protein- Excessive intake of red meat and shellfish raises the uric acid level in your body that makes a favourable environment for the stones to appear. On its accumulation in the joints swells gout and also the acid reaches the kidney to cause stones. Moreover, high protein raises calcium level and lowers the amount of citrate in urine, both of which support stones. In these turbulent times of impurities in food what you eat has a big role to play. Oxalate is a chemical that is present in healthy foods and vegetables. If you have had calcium stones in the kidney and if you eat or drink calcium-rich foods at the same time your body handles the oxalate. Then oxalates from these two sources tend to bind in the gut instead of in the kidneys. People with inflammatory bowel disease like Crohn’s disease and ulcerative colitis are very much vulnerable to stones and other kidney problem. Bowel problems bring you diarrhoea making you urinate less. Your body tends to absorb extra oxalate from the intestine that gets in your urine. Double the chance is likely there to get a kidney stone if you’re obese. When your body mass index is 30 or more you are obese. Extreme obesity is reduced with weight loss surgery yet the surgery itself can cause stones. Regular exercise and fitness programs are inevitable for improving health. If you eat or drink calcium-rich foods at the same time, they can help your body handle oxalate without turning it into a kidney stone. So pair your spinach salad with low-fat cheese. Or mix nuts or berries into yogurt. Drinking milk does not cause kidney stones. Do you want to know now how kidney stones are treated? Lets elaborate the answer. Treatment is tailored according to the type of stone. Urine can be strained and stones collected for evaluation.Drinking six to eight glasses of water a day increases urine flow. People who are dehydrated or have severe nausea and vomiting may need intravenous fluids. When a stone is stuck in the ureter or bladder, your doctor may use an instrument called a ureteroscope to remove it. A small wire with a camera attached is inserted into the urethra and passed into the bladder. The doctor then uses a small cage to snag the stone and remove it. The stone is then sent to the laboratory for analysis. Some disorders in people encourage one or more types of kidney stones to exist. Certain genetic diseases like medullary sponge kidney, a birth defect that causes cysts to form in the kidneys. In Parathyroidism the parathyroid glands can pump out extra hormones increasing calcium levels in your blood resulting in stones. Type 2 diabetes makes the urine more acidic, which encourages stones. Gout helps in uric acid build up that releases in the blood and form crystals in the joints and the kidneys. These types of kidney stones tend to be large and very painful. Renal tubular acidosis causes too much acid to build up in the body. Among the many causes, some can affect any part of your urinary tract — from your kidneys to your bladder accompanied with extreme pain. Based on your situation and urgency, you may need to decide medication or operation. It takes nothing more than to take pain medication and drink lots of water to pass a kidney stone. In other instances where stones blocking the urinary tract, are associated with urinary infection causing complications requiring a surgery. Hence, better late than never keep an eye on the kidney stones when you already know the causes of these harmful nuggets of the kidney. Hope you find this content helpful in your awareness towards kidney stones.